Pasta Producers . . . since the beginning of time! 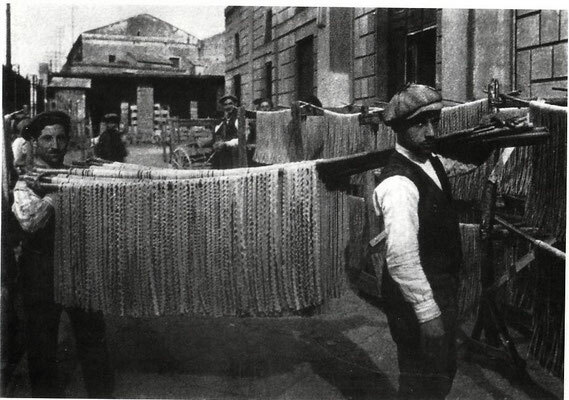 Mr. Mario Moccia at the entrance of his historical Pasta Factory, in the early 1940s. 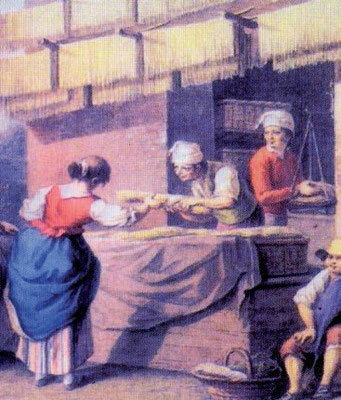 Producing Pasta in Gragnano is pure art, coming from an ancient heritage. Our Pasta is made from history, culture, traditions and our very own secrets. To be born in Gragnano means growing up surrounded by the taste and scents of durum wheat semolina. 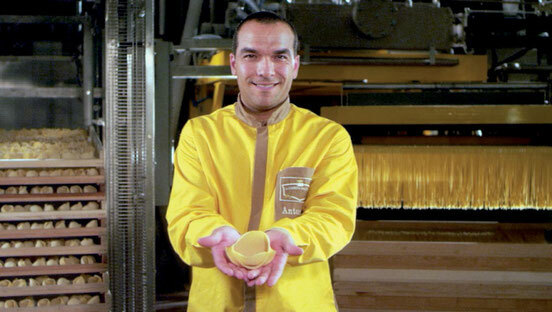 It means spending time listening to all the history, stories and legends around the production of The Authentic Pasta. It’s a magical atmosphere, which you carry with you for all your life! In 1976, our father, Mario Moccia, couldn’t resist the charming call of the great essence of Gragnano, even though he was a famous cheese producer. 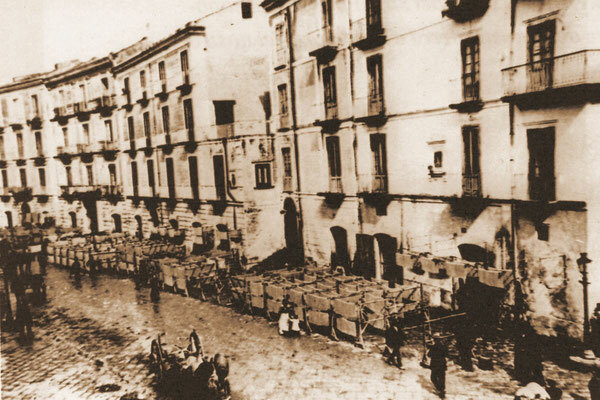 He dedicated all his life to the family business producing pasta and was committed to the restoration of the building in the historical centre of Gragnano. 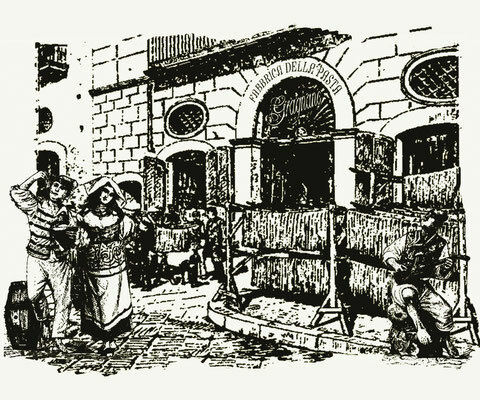 Thanks to him, we had the foundation of the first consortium of pasta factories (COPAG) and we started making the GRAGNANO brand famous! After several generation, in 1994, our family was forced to sell the Pasta Factory, however our Love and Passion, inspired us after just a few years to establish a new company in loving memory of our father. We too, couldn’t resist the magic tastes and scents of Gragnano. Antonino is the new generation of “Pastaio” and carefully follows the rules and secrets of our family’s tradition. 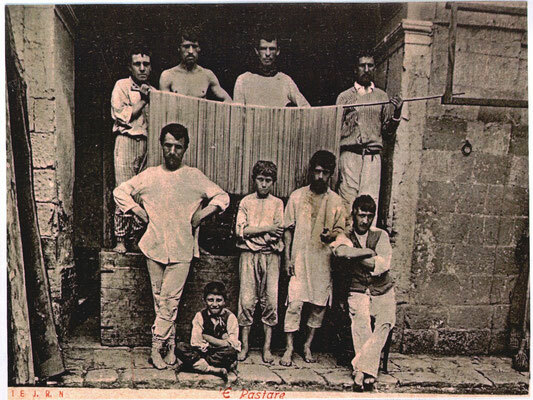 With skilled workmanship and patience, the very best first extraction of durum wheat semolina and water from the “imbuto” spring are gently kneaded together. The tools of his art are the bronze dies, accompanied by a long and delicate drying process conducted at a low temperature. 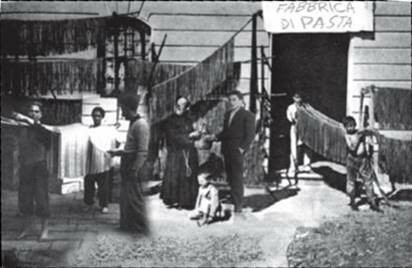 A typical and traditional day, within La Fabbrica della Pasta. It is our dedication to this art form, following our traditions and secrets, that enables us to achieve the very highest quality pasta. This is for you Dad…!!! ...an everyday production of the Highest Quality! The Mills were operational until the end of the 1800s and are now a rare example of industrial archaeology. Vernotico, since 1400 more than 30 mills grind the best grains from nearby Amalfi. Amalfi, or the nearby Stabia. It ‘s own from this extraordinary art of milling that will be born the cleverness in producing high quality pasta! The Mills remained active until the end of 1800, and now represent a rare example of industrial archeology. 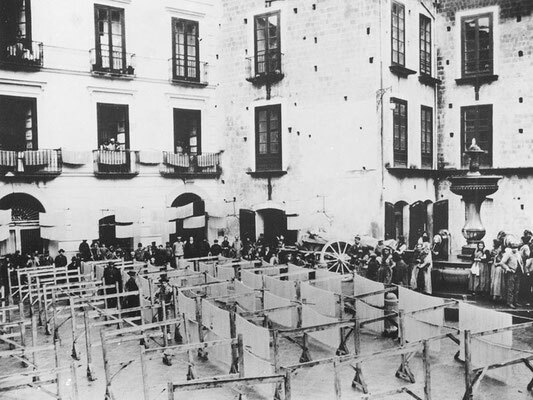 Famous is the “Mulino del Monaco” that picture on the side.